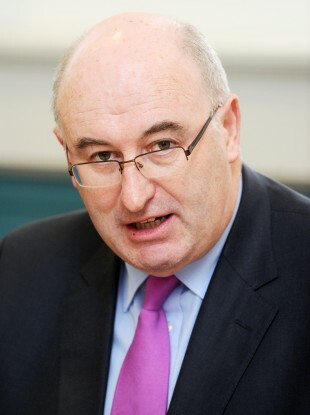 MORE THAN 1.1 million home owners have now paid the Household Charge, the Minister for the Environment, Community and Local Government Phil Hogan said today. Hogan thanked all those who had registered their properties and paid the charge, saying that to date 1.126 million properties have been registered, including 22,334 waivers. In total, €113.35 million has been collected and reallocated to local authorities through the Local Government Fund, he said. “We had elected representatives who actively encouraged people to break the law and not pay the charge. These self-same people are now calling for more funding for local authorities and at the same time encouraging people not to pay,” the Minister added. In the last few years Irish people have had a tough time of it and, in spite of that, over 1.2 million people have paid the Household Charge. They recognise the importance of compliance with the law of the land and, by paying the charge, they have made their contribution to the provision of essential services at the local level. I would like to thank them for this. Hogan said Ireland was on the road to economic recovery but that “difficult decisions” had to be made. “The tax base in Ireland will be broadened further next year with the introduction of the Local Property Tax and in the long run this will provide local authorities with the ability to raise funding locally and spend it on necessary local services,” he said. From 1 January 2013 the Household Charge will be abolished and be replaced with the Local Property Tax next year. For liable persons who did not pay household charge in 2012 and who pay the charge to the Local Government Management Agency by 30 April 2013 arrears of Household Charge will be capped at €130. From 1 July 2013, any outstanding Household Charge will be increased to €200 and added to Local Property Tax due on the property. The Revenue Commissioners will collect the outstanding charge through the LPT system. “I strongly encourage those who haven’t done so to pay the Household Charge and avoid having to pay unnecessary late payment penalties,” Hogan added. Email “Over 1.1 million have now paid the Household Charge - Hogan ”. Feedback on “Over 1.1 million have now paid the Household Charge - Hogan ”.